Shot over a six-year period (2009–2015) mainly in the industrial heartland of south China—a major hub in the global supply chain—the 2017 film We the Workers (xiongnian zhi pan) follows labour activists as they find common grounds with workers, helping them to negotiate with local officials and factory owners over wages and working conditions. Threats, attacks, detention, and boredom become part of their daily lives as they struggle to strengthen worker solidarity in the face of threats and pressures from police and their employers. In the process, we see in their words and actions the emergence of a nascent working-class consciousness and labour movement in China. What follows is a conversation between Zeng Jinyan, producer of the movie, and its director Huang Wenhai. Zeng Jinyan: We the Workers made its debut at the International Film Festival in Rotterdam on 31 January 2017, and since then it has been screened in multiple languages in more than 10 countries. Could you please tell us what inspired you to shoot this film and how you made it? Huang Wenhai: I wanted to make this movie for a long time. Back in 2008, I started to curate a film-making series The Golden Era (huangjin shidai). Before that, I shot Floating Dust (xuanhua de chentu, 2003), documenting the people—the so-called ‘masses’ (yunyun zhongsheng)—living in small towns in Hunan province. I then started to film marginal artists and finished Dream Walking (mengyou, 2005), before shifting to China’s underground intellectuals and former high-level politicians, an effort that culminated in my documentary We (wo men, 2008). Afterwards, I also shot a Buddhist-themed film, Reconstructing Faith (xifang qu ci bu yuan, 2010). For me, filmmaking is a process of constant searching, during which I keep asking myself how things have turned out to be as they are. All the characters and stories in my documentaries come from my own surroundings and, therefore, are quite familiar to me. Sometimes, the storylines are even based on things that I did with the characters, who are also my friends. Once I finished shooting all these films, however, I did feel very empty inside. During that time, I tried hard to search for other topics, for instance issues concerning workers and farmers, but farmers seemed too distant from me. I was born into a military family and did not have a rich life experience. I knew that I really wanted to make movies with a theme related to the economy. In October 2008, after coming back from the Venice International Film Festival, I went to Foshan, Guangdong province, and my friends there took me to visit some factories. However, we could not actually go inside those factories. Even if we had managed to enter, we could have only looked around, for filming was forbidden. These factories were deemed a private sphere, and, with several guards safeguarding them, they had become like independent kingdoms. In 2009 and 2010, I got two opportunities. First, I was allowed to shoot inside the premises of a shipyard in Zongyang, Anhui province. That place had a very impressive background: it was a listed company in Singapore that exported its ships to Europe. Now the shipyard has shut down, but at that time it had secured nearly ten orders, each worth ten million euros. What I saw inside the factory was stunning, but its publicity personnel followed me all the time. I did want my film to include more details, but the factory only gave me 15 days. The workers there, including youths between 16 and 22 years of age, toiled for 12 hours a day and felt extremely exhausted. They had worked various jobs and this one in the shipyard turned out to be a relatively stable position, where they stayed longer. The pay—approaching 4,000 to 5,000 yuan per month—seemed acceptable to most of the workers. I gave up shooting my film in the form of interviews, because everyone was saying almost the same thing. But there were some remarkable people there. One young guy, who left home when he was about 14, taught himself really good martial arts. He wanted to work to save some money and then use his savings to learn Kung Fu at the Shaolin Temple. Aged 18 at the time of the interview, he said that after practicing Kung Fu at the Shaolin Temple for another two years, he could join Wu Lin Feng, a martial arts competition organised by Henan Television. In the last scene of the first part of the documentary, set in the overcrowded and gloomy shipyard where workers were always filthy or exhausted after toiling for 12 hours, the young guy suggested performing martial arts for us one night. He took off his clothes, his figure being just perfect, and did his performance for us between two rows of bunk beds in a cramped dormitory. His strength burst forth from his moving body, which was neither restrained by the cramped dormitory spaces, nor by the frame of camera. The same year (2009), I was invited along with another 20 artists or so, to visit some top Japanese enterprises, which left a profound impression on me. Take Toyota for example: its factory was almost as spacious as a football pitch, and it only took 59 seconds on average to manufacture a car, which was then exported to Europe with a value of almost 400,000 yuan. Toyota’s assembly lines, according to its managers, saw the workers come up with approximately 20,000 inventions, which allowed them to perform essentially no redundant actions while working on assembly lines. This means that every single activity had added value. When a worker turned around, for example, the motion itself was used to finish a separate task on his/her way to another place. All actions at Toyota were broken down into units with an added value—an accomplishment that must have been achieved by frontline workers. These workers must take part in all production processes within one to two years, so they were fully aware of the activities preceding and following theirs, as well as of the connections between these activities, their own tasks, and final products. What I saw in Toyota’s factory left a deep impression on me. During my visit to the shipyard in Anhui Province, they were building a ship for a German company. The Germans told me that they were impressed by the beautifully-curved ships built by Chinese workers. They added that Chinese workers would never have got the opportunity to undertake these shipbuilding jobs had their craftsmanship not reached such a high level, for such jobs had previously been done by Japanese and Korean workers, and were only offered to Chinese workers later on. That being said, the haphazardness, disorganisation, and heavy reliance on manual labour inside the shipyard made it resemble the countryside. The shipyard was also dangerous, and numerous incidents had occurred resulting in injury. Almost all the jobs in the shipyard involved welding, with thousands of welders required for a single ship and many of them working in a confined space. Unable to handle the heat inside that space, I had to stop filming shortly after starting. Incidents tended to occur in the summertime, when the workshop felt like an oven where people could easily lose their lives due to smoke inhalation and workplace fires that left them as if they were roasted ducks. I made a video installation about my visit to the shipyard and named it ‘Shell’, part of which is used in the opening of We the Workers. I then started to collaborate with a French television channel on a project about globalisation. I was responsible for shooting the part of the film in China, and the French channel was responsible for the part in France. The French side, at that time, had this idea that Normandy had the best flax worldwide, but all its flax was transported to Jiangsu province to be manufactured into linen or simple clothing, and these made-in-China products were then exported back to Europe to be further processed into high-end clothing. My French counterpart once joked that heavy rain in Normandy could cause deep anxiety among Chinese workers. Why? Because the rain might hinder the growth of flax, which would in turn weigh on both wages and orders in Chinese factories. These connections epitomised the impact of economic globalisation. I also spent some time doing fieldwork before starting to shoot this film. My fieldwork started around 2007, but the filming of the flax factory actually began in 2010. I visited many flax factories, including some in Shandong, Jiangsu, and Zhejiang provinces, achieving a deeper understanding of the impact of globalisation. I also noticed that workers in these factories were all female. My ideas had taken shape by the time I finished filming the two sections that later became, respectively, the first and fifth chapters in We the Workers. My life was, nevertheless, largely disturbed by the police in 2010 because of the release of the documentary We, which centred on China’s underground intellectuals and former high-level politicians. I was detained and had some footage confiscated, and was monitored and investigated for a long time. Under such circumstances, I could by no means remain in Beijing. These changes to my private life actually allowed me to spend the following two years in Yunnan province where I collaborated with director Wang Bing to shoot documentaries on rural China. With all the source materials, we only managed to produce a film entitled Three Sisters (san zimei, 2012), but I lived in Qiaojia village, in rural Yunnan, for almost two years. Such experiences deepened my understanding of rural China. It helped me understand why Chinese workers had such a strong belief in fate, why they headed for cities at such a young age, and why they were still reluctant to go back—or could not go back—despite having to work under such extreme conditions. Throughout rural China, the economy has already collapsed, and despair prevails at grassroots levels, where economic production has no way to continue. Children and the elderly are normally the only two cohorts that stay in the countryside, and those who do not have the ability to go to the city for whatever reason. The harvests in villages today could not be smaller. The main agricultural product in one village we visited was potatoes, whose price stood at roughly 0.60 yuan per kilo for an annual production of 10,000 kilos. The gross annual income in that village was, thus, a mere 6,000 yuan in cash, which needed be used to cover production expenses, such as seed costs, but also to support the entire village. In addition, villagers not only had to labour for almost the whole year to earn such a meagre amount of money, but, even worse, also had to pay for their own health care and education, among other things. Under such circumstances, they had no other choice but to be resigned to their fate. All the experiences that I have mentioned laid the foundations for We the Workers. Having moved to Hong Kong in 2013 and having befriended people like labour activists Cai Chongguo and Han Dongfang, the famous labour rights lawyer Duan Yi, and yourself (Zeng Jinyan) I got even more inspired to document Chinese workers. It was on 27 September 2014 that I started to comprehensively conceive the script for We the Workers, a documentary featuring labour rights activists. I had been to Guangdong province twice before, participating in the celebration organised by the Foshan Arts and Crafts Factory (also known as Tongxin Jewellery). Workers organised themselves with support from labour activists for collective bargaining. After about three months of protest and negotiation, the factory promised to pay into the workers social security fund dating back to 1994, the housing fund dating back to 1999, overtime salaries dating back to 2008, and also to cancel and return all unreasonable penalties based on the company’s staff manual. Cai told me that this factory was very important, so I decided to go there in person. It was there at the factory that I first met Duan Yi and Peng Jiayong, and I was deeply moved by what I saw. Those workers’ performances, including the way they spoke, were really impressive. One worker told me that he had never imagined that he could turn into such a person who could lead many co-workers in doing all these things, i.e. collective bargaining. He himself, he added, had completely changed. 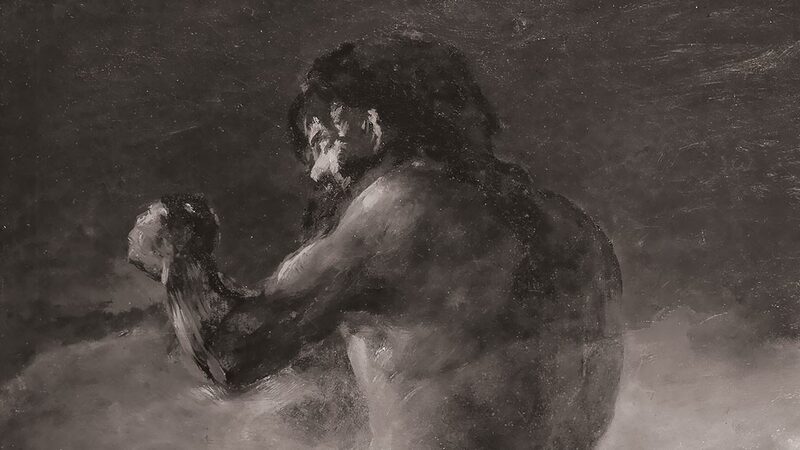 He was indeed totally different from ‘the silent majority’ that I had met before, and I believed that it was through his own actions that he had become another type of person. The following day we also attended the meeting of street cleaners working at the Guangzhou University City, who had organised themselves to defend their working rights and ask for compensation while facing relocation and/or unemployment. They, in fact, only wanted to host a celebration party for the successful outcome of the collective bargaining with their employers, but were still prevented from doing this at the place of their choice. These workers, thus, had to move to another place, where the police had been stationed at the gate. Despite such harsh conditions, these labour rights activists continued to deliver speeches to mobilise workers. On the night I rushed back to Hong Kong, the Hong Kong police fired over 80 shots of tear gas to disperse the crowds, and that night witnessed the beginning of the Umbrella Movement. I felt the labour movement in China and the Umbrella Movement in Hong Kong had something in common, which was fascinating. Since I had the opportunity, I decided to continue documenting Chinese workers. We had no funding at that time, but the filming had already begun in September. I formally moved to Guangzhou in November to live with the workers while shooting the documentary. The filming lasted for almost one year, and the protagonists included labour activists Peng Jiayong and Deng Xiaoming, among others. When I was shooting the film, it was said that the most glorious and successful days for these labour rights activists had already passed, or that their labour movement was drawing to an end. While chatting with them, I could tell the differences between these workers and the smooth-talking intellectuals in the film We. Peng Jiayong, the protagonist of We the Workers, was very young and good at speaking and writing. He told me that he even wrote a long novel on the ancient Chinese beauty Wang Zhaojun when he worked as a chef in his hometown many years ago. He shared with me his past experiences, which I found really refreshing. He seemed to have read few books and learnt little theory, but had very precise hands-on experience and intuitive judgement, and he wrote many things himself, including reports on the labour movement. I read his writings, all well-written, and this left a favourable impression on me. I ended up living with him near the urban villages where many of the workers lived, and we became intimate friends. My initial intention with making the documentary We the Workers was to show the audience the current situation of Chinese workers, to prompt them to rethink the image of these workers, and to show the awakening of the Chinese working class as moulded by those workers who are taking the initiative. I can be critical of labour: why do we work? In this socialist nation, we have been educated, since we were children, that to work is glorious. It, in fact, depends on what kind of work you are doing. The Surrealism Movement in France had such comments on work: if work can help us to achieve neither self-improvement nor a healthy mind, work then has only one function—to feed the pigs that have been exploiting you. ZJ: The documentary We the Workers features many characters. In the final 174-minute version, for example, protagonists include labour activists Peng Jiayong, Deng Xiaoming, Zhang Zhiru, Jian Hui, Duan Yi, Lin Dong, Zeng Feiyang, Zhu Xiaomei, Wu Guijun, Meng Han, Bei Guo, and so on. Some of them used to be workers, but others did not. While all of them are leading labour activists, they seemed to be at different levels: they had distinct personalities and work styles, woven into a network of labour movement in the Pearl River Delta Region. Why did you choose Peng Jiayong as the main protagonist? You devoted much attention to Deng Xiaoming as well. Through Xiaoming’s stories, the audience also learnt more about his rural hometown and the urban living conditions of his parents, who were second-generation migrant workers who had left their rural home decades ago. This plot of the film was ingeniously conceived, I feel. Could you please tell us why you chose Peng Jiayong as the main protagonist instead of already famous labour rights activists like Zeng Feiyang and Duan Yi? HW: At the beginning I was mostly introduced to labour activists Chen Huihai and Zeng Feiyang, among others. I became acquainted with Feiyang a long time ago: he visited the University of Hong Kong in 2013, and I was already in touch with him at that time. When I was making this film, Huihai had just left the Panyu Workers Centre and set up the Haige Labour Centre, where Jiayong was a staff member. Jiayong liked to chat with me, and I had already moved into the urban village by that time. While conversing with Jiayong, I found him quite interesting, including the way he spoke and the way he shared his own experiences, such as his divorce. His writings were really down to earth, had no empty talk, and were all about his own experiences and personal feelings. He was honest and frank with me, both qualities that are highly regarded by filmmakers. Once our mutual trust was built, Jiayong started to talk openly with me, together with Xiaoming. Xiaoming was a bit younger, while Jiayong was older and more experienced. What Jiayong conveyed to me could not simply be labelled as leftist, rightist, or intellectual: his theories originated from his own surroundings. I already engaged in this kind of inquiry in the film We. ‘Political animals’ such as the protagonists Li Rui, Yin Zhenggao, and Zhang Chaoqun, all had writings that pertained to their own life experiences. From this point of view, they were similar to each other—their writings and self-reflections all started from their own setbacks and personal experiences. Jiayong actually shared this feature with them, but displayed it in a more concrete way. I once remarked about We: thinking and writing are actions, but such actions are limited to thinking and writing only. This was the very situation facing the intellectuals in We. By contrast, Jiayong not only could speak articulately, but he also used to be a migrant worker in Guangdong province, where he established a trade union in his factory, and later came into conflict with a French enterprise due to the establishment of this trade union. All of these were highly practical processes in which he strove for his own rights. On the one hand, I felt that he could speak eloquently; on the other, I witnessed the outright directness and bravery of his actions. He was always on the front line, as shown in videos that I watched in which he convened meetings with workers and tried to mobilise them. All of this left a deep impression on me, and I really considered Jiayong incredible. My first edited version of this film was very straightforward; the four-hour-long documentary was almost all about Jiayong, because I wanted to concentrate on a single person. After numerous characters were arrested in December 2015, however, I had second thoughts and decided to change the film. In fact, I felt that the first version would have been a better choice for the film festival. Why did I revise the film anyway? Because, in the wake of the arrests, I believed that the story had to be put into the wider social context. For this reason I added more background information, including many more characters, resulting in the documentary featuring quite a few protagonists. Jiayong was, of course, still the main protagonist from the beginning to the end of the documentary. My consideration at that time was very simple: to choose the people who took action in the labour movement, such as Jiayong and Xiaoming. Such people also included Bei Guo, Meng Han, and their leaders, namely Zeng Feiyang and Chen Huihai. They were like an organic whole. But why did I also include lawyer Duan Yi in the documentary? Because I believed that he functioned as a middleman who could link the others together. He seemed to be an intellectual, but at the same time maintained very good relations with workers. In the film, he was almost drunk when giving his talk, but I felt this was, on the one hand, his dream and, on the other, his authentic way to encourage the workers in that cramped hotel room. For me, he played the role of a middleman who, with his social resources, could settle certain issues. In terms of structure, I chose to put different parts of the film together. Among all the protagonists, Jiayong was the most important character, whose story ran through the film and was the most complete. Besides, the first and foremost consideration in a documentary is to present characters in situational contexts. The final version of the film consists of five parts, which are organised in the following order: the factory in the mist; the daily reality of labour NGOs; solidarity as power; protests; and the smile of a female worker. This is a composite film. Its first and last sections are more abstract, whereas its other parts involve concrete figures and events. This is a movie, not a news report, so I did not neglect the wider social context or the mishaps experienced by those labour rights activists. Censorship is still prevalent in China, and all the people and events presented by independent film directors are those avoided deliberately by mainstream media. Independent film directors, therefore, have the obligation to ‘let us see each other’. That said, we still rely on films to demonstrate what we have seen, so balancing between the abstract and the concrete is one of my priorities. ZJ: In a context of strict censorship, Chinese independent filmmakers have to consider two key issues. One is about letting local audiences see hidden realities by showing process and detail, while effectively expressing the director’s impulse for social change from a position of empathy. The other is about achieving cinematic impact, which requires production support, public understanding, and a critical engagement in order to develop a particular cinematic language and style. We can see transnational funding is rarely willing to support independent films that raise the most critical and sensitive social political issues in a direct style, due to their concerns about film distribution and the Chinese market. And some of the best films merely have western and film festival audiences, and do not have the opportunity to interact with local Chinese audiences. How do you balance these conflicts in We the Workers? HW: We the Workers is made as a non-fiction film rather than a journalistic documentary. Films are best suited for presenting situational contexts and the people they involve; in other words, films are artistic illustrations of characters in specific situations. These situations can be seen in rooms and other spaces. I personally feel that the spatial layouts presented in these rooms, workshops, and images of ships and bodies are of the utmost importance. Many situational contexts are self-explanatory, as revealed in people’s interactions with their surroundings. The Chinese character ‘gong’ (labour) in the word ‘gongren’ (worker, literally ‘labour person’), I feel, can be omitted; that is, we only keep the character ‘ren’ (person). In the film We the Workers, Duan Yi says: ‘If we participate in this action, we are humans; if not, we are simply nothing.’ I believe that his remarks reveal the purpose of the documentary. People cannot really see each other in China: this is a country with rigid social hierarchy and stringent censorship, where many things have yet to be unveiled. The documentary intends to convey the very concept of ‘humanity’. Those labour activists managed to become ‘humans’ by committing themselves to a particular course of action, and in so doing they demonstrated that the attainment of humanity is possible. ZJ: Could you please discuss why there is not an equivalent representation of female and male labour activists in We The Workers? Translation by Nan Liu. This article was originally published on Made in China, Issue 2, 2018. 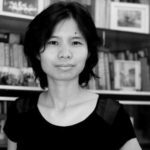 Zeng Jinyan, writer, scholar, and documentary filmmaker, was the 2017 Oak Fellow at Colby College. She earned her PhD at the University of Hong Kong in 2017. Her book Feminism and Genesis of the Citizen Intelligentsia in China (City University of Hong Kong Press 2016) received a Publishing Award in the Social Science category of the 2017 Hong Kong Publishing Biennial Awards. 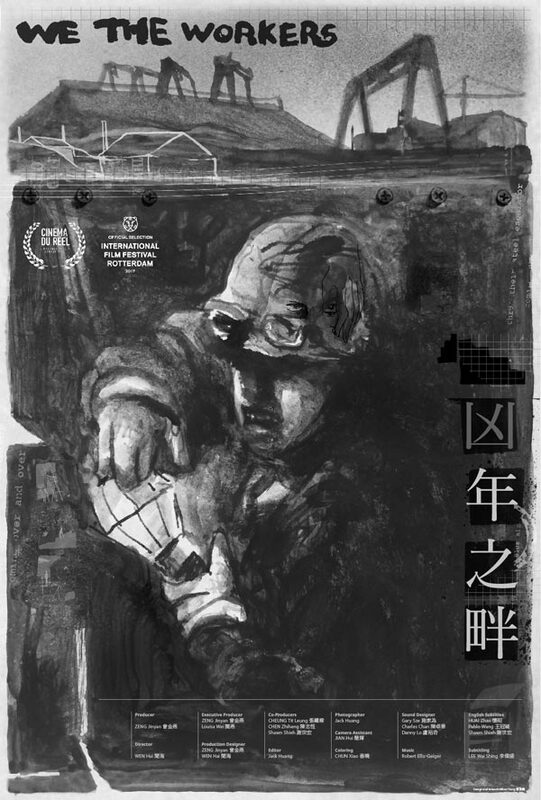 Zeng co-directed the documentary film Prisoners in Freedom City with Hu Jia (2007), wrote the script for the animation short A Poem to Liu Xia (Trish McAdam 2015), and produced the feature documentary film We The Workers (2017).